Accessorizing is an Art, Too! 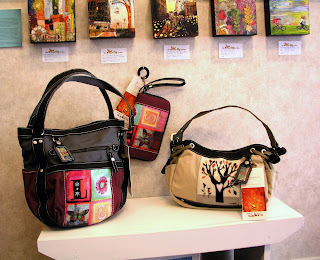 "Sola LOVE," "Xovia LOVE" and "Ivy TREE" bags by Sherpani. Now for sale at The Firefly Gallery in Northport! 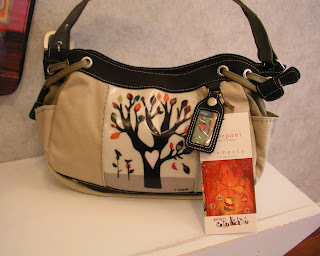 A sweet close-up of the Ivy TREE bag - isn't the hang tag cute? 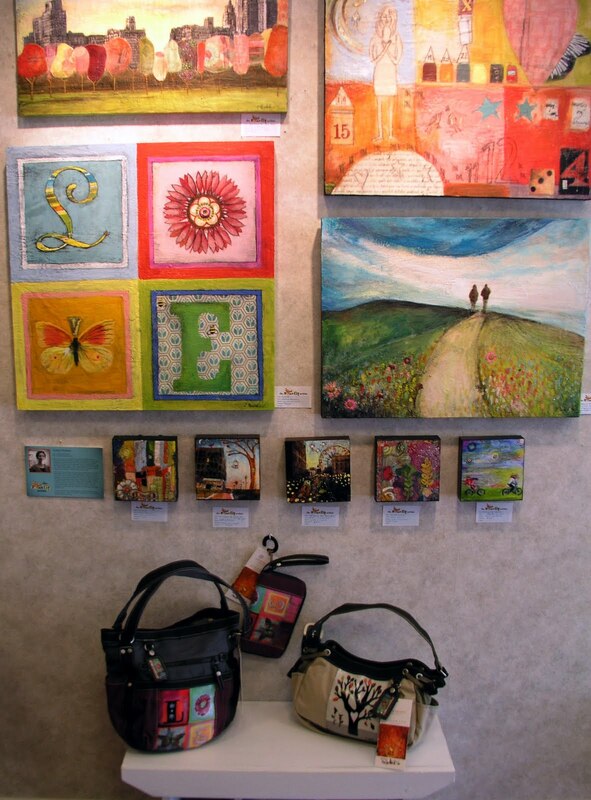 I'm now selling a few of the beautiful bags created by Sherpani that feature my artwork at my Firefly Gallery. The line is called Elements, and the bags are made of entirely vegan materials including recycled illuminum. I use the Ivy bag every day, and I love the way Sherpani has incorporated the great gear compartments of their usual sport lines with these stylish, everyday bags. The neutral color works with every outfit, too!